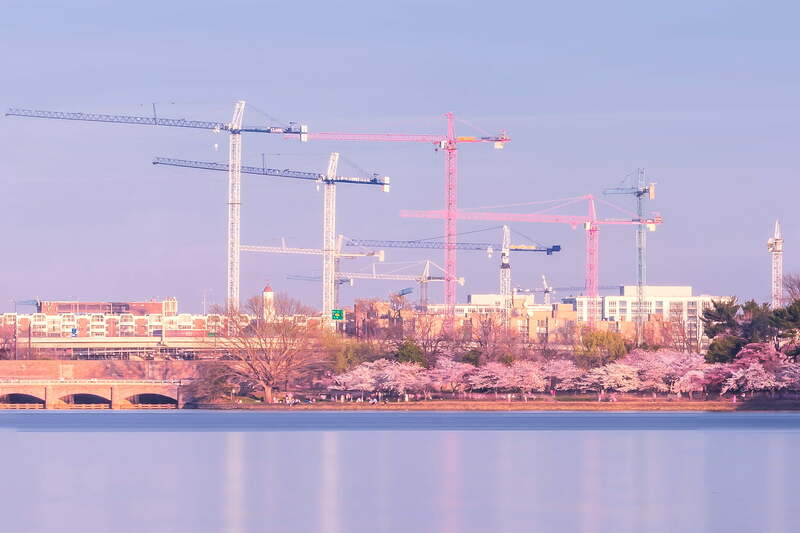 People in Washington, DC don't agree on much, but one thing they unanimously agree on is that the most beautiful time of year is the fleeting week in late March when the city turns pink. 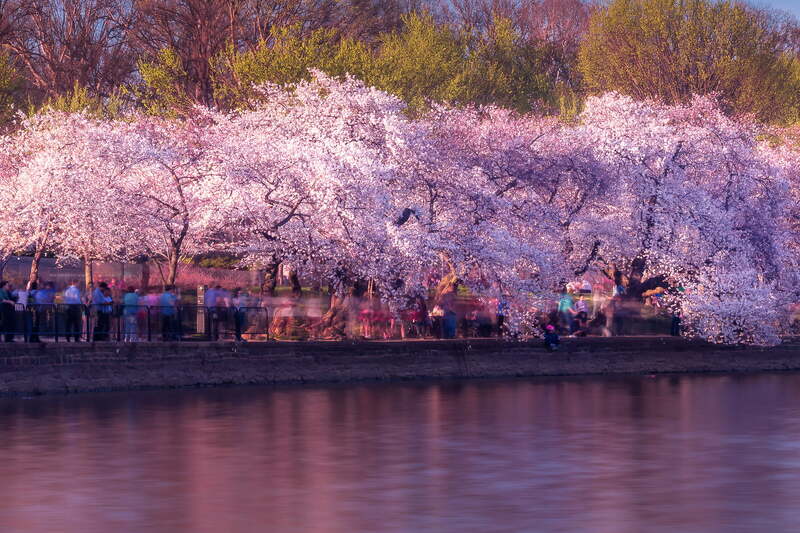 In 1912, Tokyo mayor Yukio Ozaki gave thousands of Japanese cherry trees to Washington, DC as a symbol of friendship between Japan and the US. 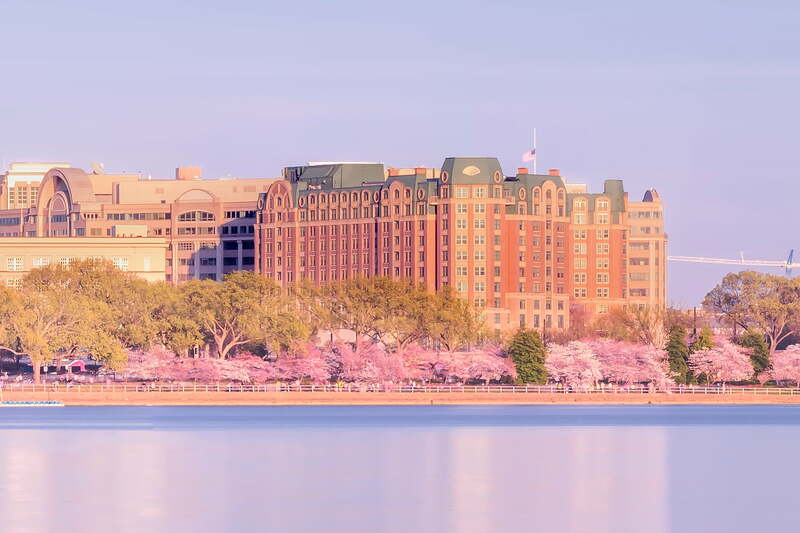 Every year since, for just a few days, all of those trees bloom together at once, radiating a beautiful pink glow across the city. 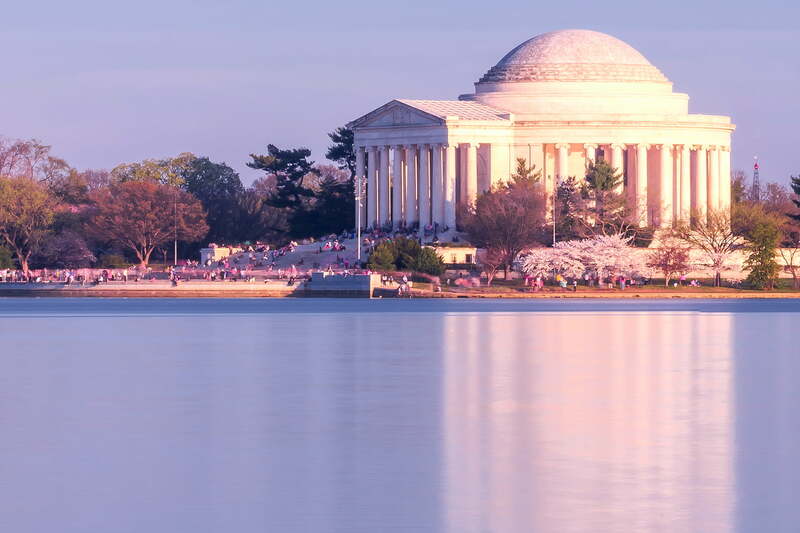 Crowds from across the US descend on the nation's capital to view this gorgeous scene and DC residents retire from their contentious debates to pause for a moment of reflection amid the beauty. 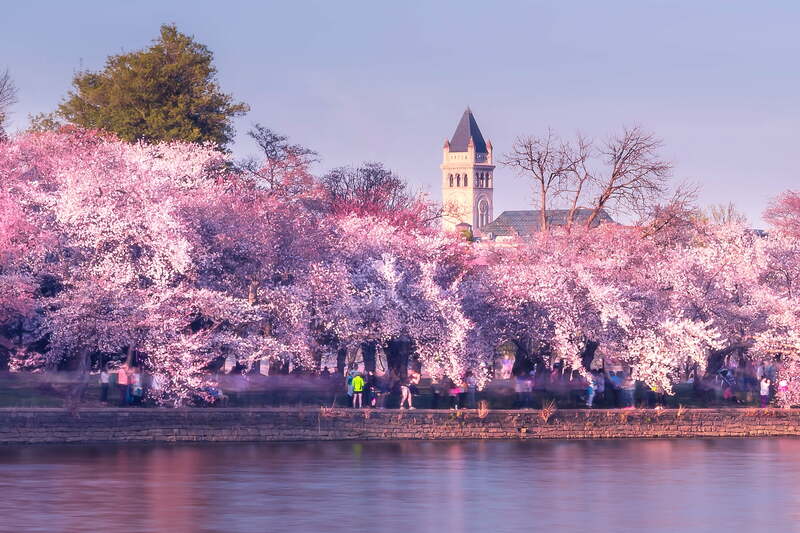 The 2016 period of peak blossoms began with a few days of lackluster weather, causing me to worry that the season would pass without any great photos. 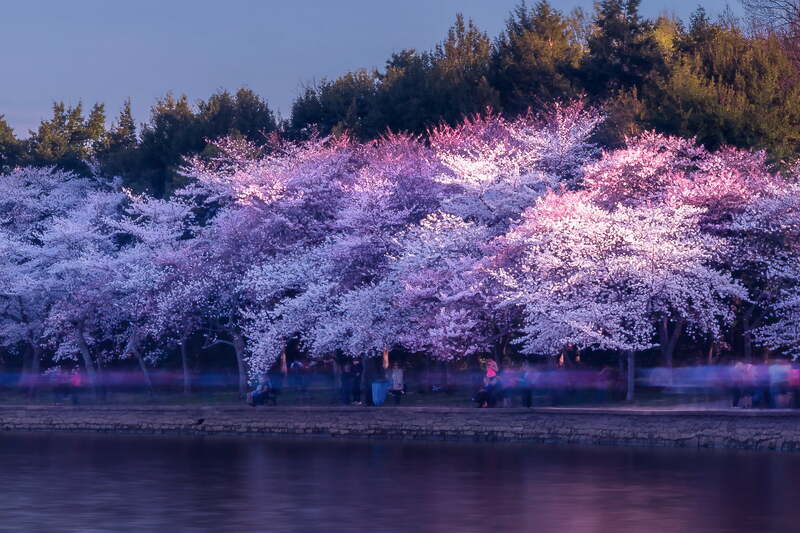 Then, the weather suddenly cleared one morning and we had a sublime day at the peak of the blossoms. 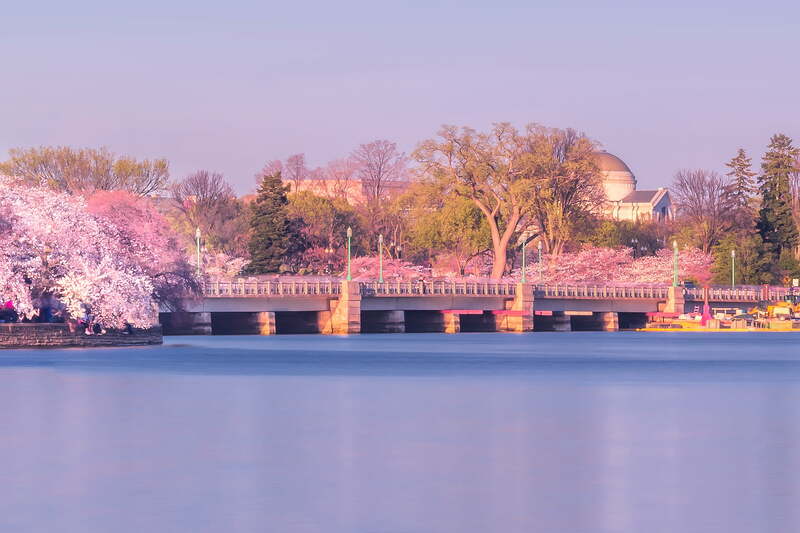 I set up my gear on a bed of fallen blossoms along the bank of the Tidal Basin while the spring air carried faint wispy clouds and the sounds of chirping birds. I wanted to capture the idyllic atmosphere of the scene, so I affixed a very strong neutral density filter to the front of the lens. This enabled me to shoot long exposures of the scene when creating this VAST photo, conferring a uniquely dreamy feel to the final image - a fitting mood for the city at its most beautiful. 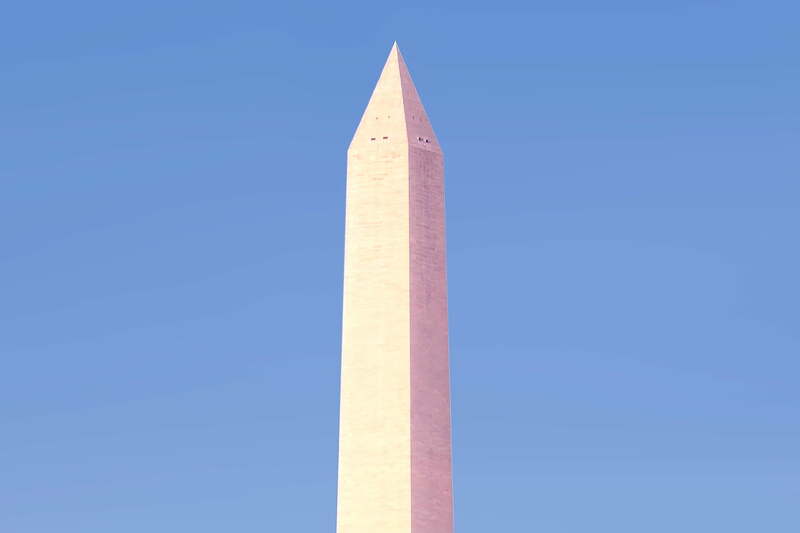 This 559-megapixel VAST photo is one of the highest definition photographs ever created. It has a resolution equivalent to 270 HDTVs.